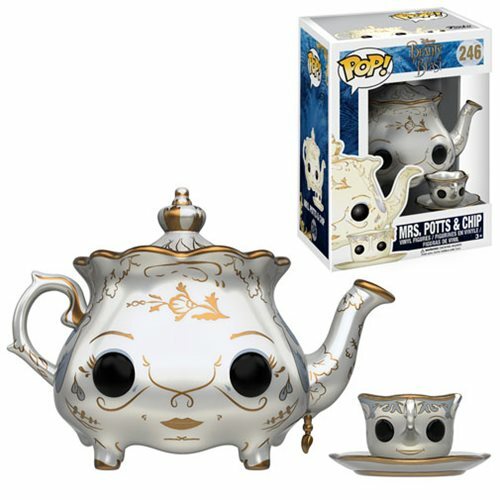 Shopping for Beauty and the Beast Pop! Vinyl Figures? A tale as old as time has a new look in the 2016 live action version of Beauty and the Beast! Explore the enchanted castle with Mrs. Potts and Chip! This Beauty and the Beast Live Action Mrs. Potts and Chip Pop! Vinyl Figures come packaged together in a window display box. Mrs. Potts measures approximately 2 3/4-inches tall, while Chip measures only about 3/4-inch! Ages 3 and up.